Lt. Gov. 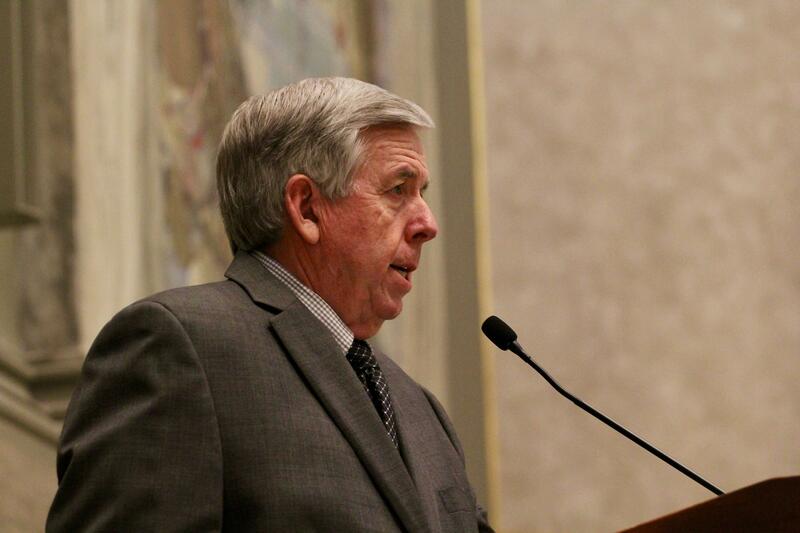 Mike Parson presides over the Missouri Senate in 2018. On the latest edition of Politically Speaking, St. Louis Public Radio’s Jason Rosenbaum welcomes Lt. Gov. Mike Parson to the program. Parson recorded the episode of the show from his office in Jefferson City. He won election to the statewide position in November 2016, defeating well-funded general election and Republican primary challengers. The Bolivar Republican began his career in public service as Polk County’s sheriff. He eventually was elected to a Missouri House seat that took in parts of southwest Missouri. In 2010, Parson prevailed in a race to represent the 28th Senate District — a seat he held until he was sworn in as lieutenant governor. Missouri’s lieutenant governor becomes the state’s chief executive if a governor dies or resigns. The officeholder also presides over the Missouri Senate, and is on a slew of boards and commissions. During his first year in office, Parson established the “Buy Missouri” program. That initiative seeks to boost awareness for products made throughout the Show Me State. Parson also made news last year when his office investigated issues at the St. Louis Veterans Home, which ultimately resulted in the ouster of that home’s administrator and the Missouri Veterans Commission executive director. The lieutenant governor sits on the Missouri Housing Development Commission, which recently voted to halt state low-income housing tax credits. Parson was one of the dissenting votes on that move, contending it will make it more difficult to cultivate low-income housing in rural parts of the state. Despite some disagreement with Gov. Eric Greitens on some issues, Parson said there is an open line of communication between the two Republican officials. By contrast, former Democratic Gov. Jay Nixon rarely spoke with GOP Lt. Gov. Peter Kinder.